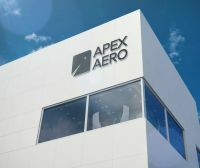 B&H has signed a three year deal to provide warehousing and efficiency solutions to UK-headquartered aftermarket specialist Apex Aero, which specialises in the new generation Airbus & Boeing aircraft. B&H will handle all Forward Stocking Location (FSL) services for Apex Aero through its climate-controlled warehouse at London Heathrow from where the parts will be shipped to locations across the globe. It has also signed a memorandum of understanding with US-headquartered aerospace logistics provider Compass Forwarding. Compass will provide additional coverage in six locations in the US, Brazil and the Middle East.